The Holy Week provides an opportunity for individuals to recharge, reflect, and reconnect with the things or the people that matter most. During this period, hotels and other establishments in Metro Manila and neighboring provinces offer promotions and activities kids and kids-at-heart will enjoy. 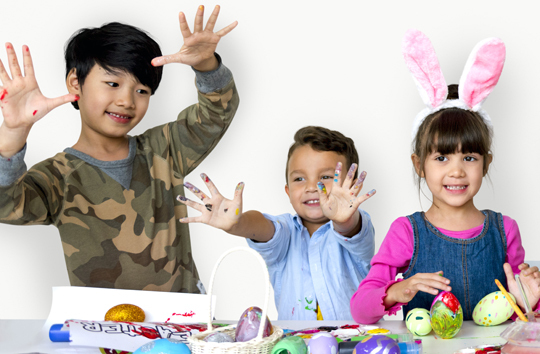 Diners and “staycationers” at New World Makati Hotel don’t only get to enjoy sumptuous meals and relaxing stay, as they also earn an entry for their kids to the Easter Magic Fair by the poolside on April 21. Children will be transported to a magical wonderland with a whole host of fun fair games and activities such as bounce castle, Velcro wall, egg-painting, and egg-hunt. Kids can enjoy fun fair activities at New World Makati. An overnight stay starts at P7,000, inclusive of perks and two passes to Easter fair and egg hunt activity. Stay dates are from April 12 to 21. Diners at Café 1228 will receive one pass and two passes for those dining at Jasmine. Call (02) 811-6888 ext. 3679. 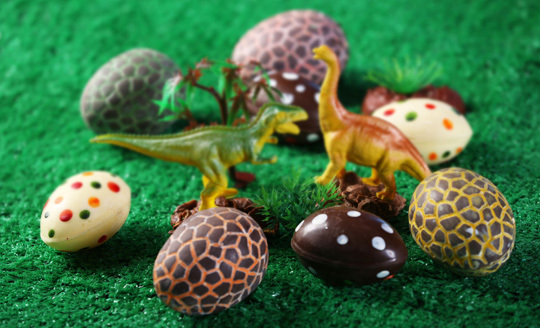 Dino eggs are hatching at Crimson Hotel on Easter Sunday at 2:00 p.m. Activities include Easter snack buffet, interactive show at the Grand Ballroom, dinosaur egg hunting for kids, and others. Ticket for 3 years old and above is P1,100 net, while 2-year-olds with one paying companion are free of charge. Friendly dinosaurs abound at the Dino Easter Eggsploration event. The Muntinlupa hotel offers staycation packages from April 19 to 22 that come with free pass to the Dino Easter Eggsploration event. Overnight stay in a Deluxe room starts at P4,960++, while a three-day/two-night stay starts at P10,080++. On April 19-21, Holiday Inn Baguio serves special dining and room packages for Easter revelers. Lamisaan Dining & Bar’s Good Friday Seafood Dinner on April 19 will showcase the freshest catch cooked in the Visayan method of su-tu-kil (sugba, tuwa, kilaw), along with other dishes. Come April 21, it will be offering a complete station buffet with live grill station for Easter Lunch Special that will come with one complimentary Easter Egg Hunt pass for every two dining adults. Three-day/two-night stay in the hotel comes with complimentary buffet and Easter Egg Hunt passes, among other perks. Call (074) 620-3333 or (02) 571-6079. Nobu Hotel’s Easter Break package comes in two options: overnight accommodation that starts at P13,188 or a two-night stay that starts at P23,388. 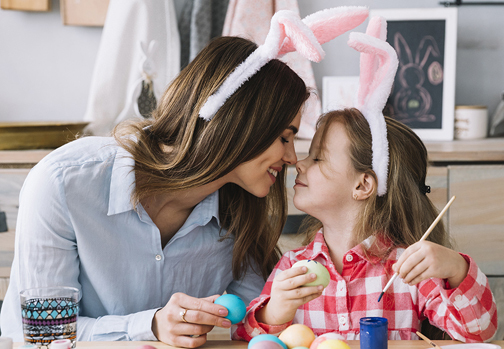 Each includes a complimentary breakfast for two at Nobu Restaurant; a special turndown amenity; and a choice between two DreamPlay “Easter Eggstravaganza” tickets on Easter Sunday, or three DreamPlay tickets and four VR Zone tickets to be used during the guests’ stay dates. 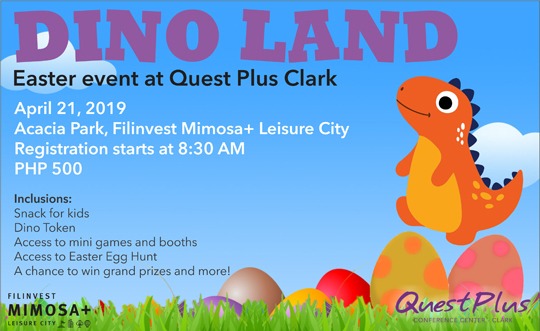 Kids are guaranteed fun as they roam around Dino Land hunting for Easter eggs filled with sweet treats and rare golden eggs to get a chance to win an overnight stay in Quest Plus Clark’s Villa Deluxe. Snacks and loot bags filled with sweet treats are also ready for the participating kids. Tickets for kids are priced at P500. Tickets are sold at the hotel lobby and at the registration booth during the event. 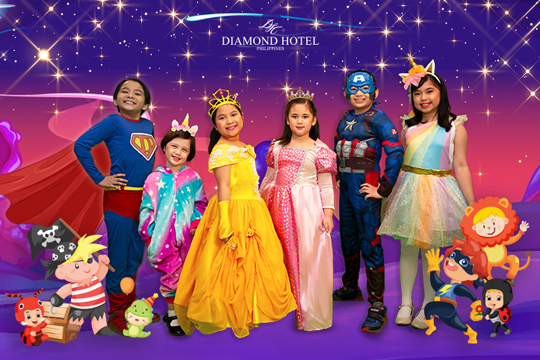 April 21 is the day for creative children at Diamond Hotel. The Easter Spectacle: Kids’ Party on Parade, happening from 10:00 a.m. to 2:00 p.m., is a day full of surprises for kids in costume. They can attend the event as a superhero or a princess or an adorable animal character. Best in costume takes home prizes. 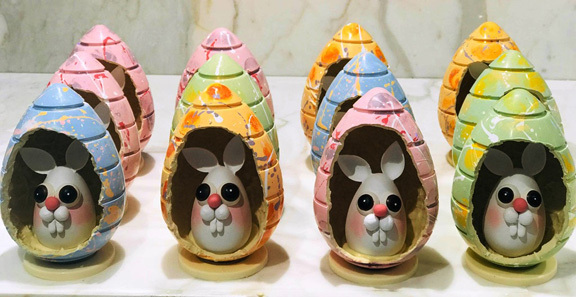 In addition to fun, Easter activities are staycation packages. Easter Staycation Package, available from April 14 to 21 starts at P6,500 nett, while the Easterrific Getaway Package, from April 15-21, starts at P5,500 nett. Call (02) 528-3000 ext. 1141.